Chris Hertz is the Chief Revenue Officer with DivvyCloud. 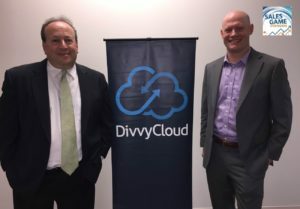 Prior to coming to DivvyCloud, he created and eventually exited from New Signature, a company that did very successfully helping companies migrate to the cloud. Fred Diamond: You’ve had some great success as an entrepreneur and we’ve interviewed a handful of entrepreneurs along the way. I know at your heart you’re a sales guy so I’m very interested in how that plays together. Why don’t you tell us what you sell today and tell us what excites you about that? Chris Hertz: I’m the chief revenue officer for DivvyCloud. We are a enterprise software company that sells security and compliance to large companies that are trying to embrace the self-service software defined nature of cloud infrastructure. If you think about that’s Amazon Web Services, Microsoft Azure, Google Cloud Platform, Ali Baba Cloud, these are customers like General Electric and Discovery and Fannie Mae who have embraced this idea of self-service so they have a lot of people who are now using these cloud infrastructure products provisioning and configuring. The challenge that you have is that now you have dozen if not hundreds if not in some cases thousands of people doing this, those people don’t necessarily know how to properly configure all these services, it’s very hard to remember all that. They also don’t know how to do that configuration in alignment with the security compliance and governance standards that these large companies have to operate under. Our software monitors all the configuration in all these different cloud environments, compares it against these set of standards and then when we identify non-compliance we allow the customer to automate their mediation of that. Really it’s guard rails that allow these companies to really embrace self-service which in turn really drives innovation, and that’s what they want. You look at places like Discovery, they’re absolutely crushing it in the media and entertainment industry because they’ve been innovating so rapidly. That’s because of cloud, that’s because of self-service and it’s because of DivvyCloud sitting there, allowing them to embrace that. Fred Diamond: You mentioned some of the companies, but who do you physically sell to? Who are some of the customers along the way? Chris Hertz: It’s interesting, we have a pretty diverse group of buyers within our customers. Certainly it can be the security team, it can be the infrastructure/operations team, it can be influenced by governance and compliance. It’s often operated by the infrastructure/operations team, maybe funded by security but influenced in the purchase by compliance and governance so there’s a pretty broad spectrum of people that we have to be thinking about in the sales process and engaging to get all that buy in and to generate budget and to ensure that we move smoothly through the process. Fred Diamond: Very good. How did you first get into sales as a career? I finally went to my boss and said, “It feels like we’re missing an opportunity here. All these RFP’s keep coming through and these people keep asking for our help and we’re just not doing anything about that.” and he said, “Well, what do you want to do?” and I said, “I’d like to respond. I think that’s a first step that we can do.” and he said, “Well, that’s not your job.” and I said, “Well, how about I did it at night?” and so I started doing sales at night while I was programming during the day and over the next 6, 12 months I started transition and had a lot of success responding these RFP’s and putting in the first marketing plan, putting in the first sales processes and really becoming the first full-time sales person. Doubled the revenues in 12 months and then doubled them again in the following 12 months, eventually became full-time, became the director of business development and that was my first taste of sales, officially. After that I went on to find people who could mentor me, because there wasn’t a lot of mentorship obviously in that place. Fred Diamond: I was going to say, how did your boss respond to your success in taking this over and eventually it becoming your job? Chris Hertz: He was excited. [Laughs] We grew those revenues pretty quickly, we were having a lot of success, he was loving it. It was lucky in part because not every boss would have A, let me do that – I was young, I was 21, I hadn’t done this before. I think it was just the right place at the right time with a boss who was trusting enough to really let me run with this and that was lucky. It was a great form of experience. I will say that I turned down a lot of other jobs to work for a small company just because I thought there’d be that opportunity to be in a more dynamic workplace, so I feel like I set myself up but a lot of success is around luck and being in the right position and being willing to take advantage of it. Chris Hertz: Yeah, a little bit different process. Sale cycle there is 15 to 20 minutes [laughs]. Fred Diamond: You became a programmer and you noticed that there was something going on, there was something missing and the company could take advantage of this opportunity. You started selling at night, responding to RFP’s. What are some of the key lessons you learned when you made that transition, Chris? Chris Hertz: The first one was get a good fax machine because back then all the proposals were sent via fax and I don’t tell you how long I sat there feeding one page after another, only get two sucked in at the same time and having to do it all over again. Get a good fax machine, probably not relevant for today’s salespeople but back then it was important. Secondly it was about I think persistence and patience and discipline. Sales is a game of inches, it’s like a baseball game. It’s a collection of smaller hits. The home runs are amazing and they’re fun to see but games are won by the base sets and by being strategic and being core to your fundamentals. In that early days certainly there are opportunities to go for a lot of home runs in the late 90’s but where we had more success was just by being disciplined and going consistently against sales and running that process through. Fred Diamond: Very good. Why don’t you tell us a little more about yourself? Tell us what you specifically are an expert in. Tell us a little more about your area of brilliance. Chris Hertz: I wouldn’t say it’s brilliance, but I certainly feel like I have specialized in people. My undergraduate degree is for information technology but I doubled in anthropology and I spent a lot of time thinking and studying culture and people and I think sales is fundamentally a people business. To me, it’s a function of trying to understand the context of the person you’re interacting with and how to make them successful. It’s about listening to them, not just what they’re saying but also their body. I want to be in front of somebody if I can, I want to sell remote, I want to do video, I want to see the person. I want to understand how they’re responding to me, I want to understand what their challenges are – not their company’s challenges, their challenges because you’re selling to a person. My specialty has always been people and that’s fundamentally as a sales leader, again, it’s people. You are building a team of people who have challenges and desires and fears, and again to be successful you have to be interested in that. Lastly I’d say, surrounding all that it’s about delivering great experiences. You mentioned New Signature, the company I build and eventually sold. We were an IT services company but we always told people we were an experience business that happened to deliver that through IT services. To me it was you build a place and you deliver experience to everyone you do business with. You do it for the people you work with, the people you sell to, to your customers, to your vendors, to your partners. If you deliver an amazing experience to all those people, you will always be successful. Again, going back to that game of inches base hits, you need to build constituencies around sales. If you’re going in and having a really tough sale but you’ve built great relationships with a partner, let’s say in the technology world like Microsoft, that can make a huge difference because you’re able to go back to that relationship and say, “Can you assist me in this sale? I see that you’re in there already. What can we do together to try and ensure that I’m getting there?” You’re delivering good experiences. I think that’s super important so that’s where I’ve spent a lot of time. 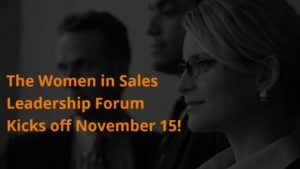 Fred Diamond: Why don’t you tell us a little bit about some of the impactful sales career mentors you met and how they impacted your career? Chris Hertz: I went to a technology company where I was the VP of technology so I left West Lake where I was the director of sales and I went actually being a VP of technology for a dot com and a guy named Ken Hakuta who went by the nickname Dr. Fad was the founder. He was a marketing genius. Marketing is top of funnel, you don’t have sales without marketing and so I got some great exposure with Ken who really provided a lot of insights about the value of marketing and how important that was in the sales world. I later went on and had the opportunity to work as essentially a head of sales for a guy named Dan Leads who had previously run a company with his brother that had been started by his parents called CMP Media which his brother sold for about a billion dollars back in ’99. Ran sales internationally, brother ran the business domestically and there Dan really taught me one core message which was honesty. The thing about game theory, game theory is all about the fact that you’re often playing multiple rounds in a game. Sales is about multiple rounds, as a salesperson you will have a career in sales. You will leverage relationships you build for decades and so if you are dishonest or if you treat your potential customers poorly, overtime that capital that you’re investing in of negative energy that you’re creating will come back to haunt you. You won’t have the same relationships. Chris Hertz: Great question. First and foremost it’s people. As a sales leader, I’m only as good as my people and finding great people and empowering them is hard. It’s hard to find great people, it’s a competitive marketplace, the economy’s very hot right now, really good salespeople tend not to leave because they’re doing really well. You do have opportunities, things change, sometimes you roll the dice but that’s really hard so finding really good people. Then the second element is empowering them, that takes a lot of effort. 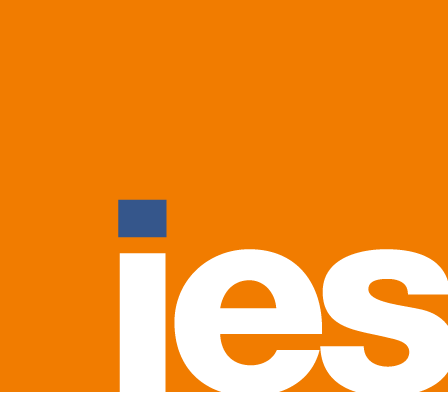 How do you do sales enablement? How do you do sales training? I’ve always thought that a really well run sales organization is one in which you have incredible detail and transparency about the sales process and your expectations of the sales organization and each step of that process. Where there is little to no question, where the person knows what are my activities during this portion of the sales process, what are the outcomes that I’m trying to achieve, what are my expectations of the customer, what are the sales mental tools that are available to me during this that can accelerate the sales process. Those things take a lot of effort to put together, so it’s the time and capacity to arm the people that you’re hiring and to provide them with the proper training. Those two things are constantly the challenges that I run into. Hiring enough people and then quickly enough and delivering enough opportunity for them to do that. Fred Diamond: We ask that question, what are the two sales challenges you face, we’ve asked that to every single person that we’ve interviewed on the Sales Game Changers podcast and the #1 answer with the bullet is hiring, retaining, elevating or motivating top tier talent. Fred Diamond: Tell us about the #1 specific sale success or win from your career that you’re most proud of. Take us back to that moment. Chris Hertz: There’s a few that rank up there, I don’t know that there’s one specific. I’ll say during our time in New Signature we went through a number of transitions as a business. We moved between customer segments, we changed the services we were selling. When we started out as a business we were focused on the SMB marketplace and over that period of 12 or 13 years we grew we shifted our focus from SMB up into mid-market and then into enterprise and that was a really tough transition. I think people sometimes forget – and I preach this to my team a lot – it is really important to have customer references and just have customers, customers to get sales. When you’re trying to break into a new market whether that’s geography or whether that’s a particular vertical or whether that’s a customer segment, if you lack a set of representative customers that you can reference, it’s hard. Customers don’t want to be the first ones and I remember we worked very hard to break into that mid-market business and sometimes it again goes back to luck and being able to capitalize on the luck that you have. A potential customer came through that unfortunately for them had run into a very critical situation where a whole bunch of the infrastructure had gone down, Microsoft infrastructure, and they were looking for help and they needed something immediate and we happened to be able to come in very quickly and be incredibly responsive, show up the same day and got through the process without them checking references. It was just one of those things where it was a crowning achievement because for the first time we had gotten through the gauntlet and gotten this mid-market customer and from there it opened up. Just that one customer changed this directory. Going back to that game of inches, you have to continually grind a way with sales and when you get that one moment, don’t be foolish. Do everything you can, make the biggest investment, don’t fight on price, just get in there, win the deal at the lowest, whatever it takes to win that deal because it will change everything after that. The customer in Philly would say, “Yeah, but who’s local? Who do you have down the street who I know, who I have a personal relationship with, that I see them at the golf course? If you tell me you’re doing business with them, that’s a big deal. The fact that you’re working with General Electric, I don’t care. I don’t know anyone at GE, I don’t trust them, I can’t verify that.” To me it was always about doing business locally. it is incredibly important, and building segment, locality, industry. We once had a potential customer who said, “Can you give us a reference where they have an office in Montreal and in Syracuse and they’re in our same industry?” This is where they were located. And I said, “Do you know who that is? Because if you don’t know, that would be your direct competitor with your same due locations. You tell me, is there someone like that?” and they’re like, “Well, no” and I said, “Well, then no. I’m not going to be able to give you a reference.” But that’s how specific it’d gotten so I do think it’s always incredible to think about how locality and references become so important. Fred Diamond: Chris, you’ve had some great successes in sales. You talked about some great places where you’ve worked, you gave us some great examples, you even eluded to this a couple minutes ago that you actually questioned at times if sales was really the right career for you. Was there specifically a moment where you thought to yourself, “It’s too hard, it’s just not for me”? Chris Hertz: Yeah. Look, I love sales, it’s a passion. I love people, I love talking, I love sales. I have an equal passion for technology and in the early days I had a little bit of a war on either did I want to do sales or did I want to do technology? In my early career I oscillated a little bit but what I came back to is I’ve always been involved over the last, I’d say 15 to 20 years now, in sales around technology. I was able to combine those two things. To me, sales is like consulting. You can think about all the different sales methodologies that are out there but really it’s a fascinating opportunity to learn about your customer, to understand the product or services you’re selling and to bridge the gap. Really good sales people have a nuanced and deep understanding of their customers, they have a nuanced and deep understanding of the products that they sell or their services and they’re able to be a consultant who bridges those gaps. Sometimes you just come and say there is no bridging, we don’t offer you that. I have literally gone in and someone said, “Here’s what I’m looking to do, sell me on your service, your product” and I’ve said, “You’re not looking for me, here’s the company you’re looking for.” Again, it’s about building that relationship and they’d say, “Why would you tell us that? Why wouldn’t you just sell me?” I said, “Because I want you to come back when you actually need my product and If I sold you a hammer when you actually needed a, let’s say, a pair of pliers, you’d eventually figure it out. You’re no dummies. So again, let me come in and be consultative. Let me provide you value.” I would say that there is a challenge where salespeople don’t take the time to learn about these things, and then I don’t know what they’re doing. Fred Diamond: Chris, what’s the most important thing you want to get across to junior selling professionals to help them improve their career? Chris Hertz: I think it goes back to what we just talked about before the break. To me, I see a lot of salespeople – regardless of where they are in their career but certainly sometimes the more junior – that have not taken the time to learn about their customers or their products. A lot of people think that they need to be in sales and they think about sales and they think about process maybe. I don’t know what they think it is, but fundamentally if I go to a salesperson who’s interviewing with me and I say, “Tell me what you’ve sold” and they don’t really get it, they don’t know what they’re selling, they can’t really articulate it beyond that… I just talked to a salesperson recently we were interviewing and I said, “Tell me what you’re selling” and they sort of said at the high level, “This is what we’re doing” and I said, “Yeah, but how would you dig more deeply?” and he said, “I would go back to the engineers and I’d ask them for some resources, something to read, I’d watch podcast videos. I could learn something” and I said, “Did you do it?” “No, I never did.” They’d give it to me and I’d have it there so I could reference it if a customer asked me a question. Where’s your curiosity? If you’re going to be successful in sales, you have to be intellectually curious at your core. You have to love every element of your job and that means having an absolute passion for diving deeply into your customer, diving deeply into the thing or things that you are selling. It can’t just be a job, anybody can come in and say, “Hey, I want to introduce you to my sales engineer and I want to be drinky bird and just send an email everyday” but come to them with something they need. You talk to a CIO or CTO in my position, we’re selling to those folks and say, “Hey, if I just send a email to you every day saying I’d like to talk to you, what happens?” “I’ll never respond to that.” “But I come to you with information, if I understand you and I’m presenting value because I understand my product and how it connects to you, would you listen to that?” They say, “Well, yeah. For sure. That’s something I’d like to do.” I think for people who are coming up through the sales profession it’s be curious, always be curious. Spend as much of your time learning. Every time you have down time if you’re not dialing then you should be learning. Just don’t sit there and twittle your thumbs, even in between. Yesterday I was in between two, I had still gone on sales calls, I was in between two, I was listening to a podcast in between my two sales calls sitting in the parking lot waiting for the next one to start. Chris Hertz: First of all, it’s going out. I’m always in the field both with my prospects but also existing customers. Don’t forget your customers, the ones you’ve already sold to. Go back, see how they’re using your product, even if you’re only being comped on your new opportunities don’t forget that you can learn a lot of lessons about how the person you just sold to uses. What a great way to find new business cases that you can articulate, the story telling, the amount of that. There’s something very powerful about telling stories and we go back to what we said about using references. If you go in and you tell stories about how your product or service is being used and you can use it with live customer references, that’s a powerful way to sell. That only happens if you’re staying engaged, if you’re continuing to engage with the customer, continuing to build the relationship. For me it’s going out and talking to existing customers, it’s going out and being in the field but it’s also talking to smart people of all levels of experience. It’s going out to the right events to meet people who have fresh ideas, it’s about reading blogs, it’s about looking at podcasts. I don’t think those have to be specific to areas that are sales. I like listening to the Ted Talk radio hour, the concepts that are discussed there, behavioral psychology, things along those lines are incredibly impactful. You think about something like behavioral psychology, Robert Cialdini. Fred Diamond: The power of influence, of course. Chris Hertz: Yeah, incredible stuff that’s relevant to sales and it certainly talks about that. That’s the type of stuff that you want to go out and listen to and understand the broader context in the world. Fred Diamond: Intellectual curiosity, I like that. Chris, what’s a major initiative you’re working on today to ensure your continued success? Chris Hertz: After I sold New Signature I took about a year off, spent time with the family. Still was engaged in a consulting basis with a number of folks around sales so could just save up but for me it’s really about the evolution of sales as an art and a science and I think there’s a lot happening right now in terms of technology that’s fairly interesting. You go back to how do you do sales enablement and how do you take a salesperson and scale them up in a way that is efficient, and technology is doing a lot of interesting work in that area whether it’s being able to use AI to connect sales ready content to particular customers in particular stages which is always a challenge or whether it’s using voice analysis in real time voice calls to understand whether or not a call is going well or not and being coached on that in real time. There’s fascinating stuff that’s happening out there and being abreast of those, I think the startups who are working the space is a really interesting thing. I’d really like to see startups and I spend a lot of time looking at sales startups and marketing startups and really reaching out and talking to folks who are working there and understanding. I think those are the laboratories for the encapsulation of the brilliant ideas that are coming out to influence sales. Fred Diamond: Why have you continued? Again, you were a programmer originally, you were a major in IT and of course you had the minor in anthropology but what is it about sales as a career that has kept you going. I don’t remember what I said, but, “It’s great to connect with you” and he goes, “I thought this was an internal call, this stupid caller ID messed up, I don’t want to talk to you” and hung up and I just said, “Well at least I know now.” I think there’s two elements to that. One, you have to have the right personality. You have to be OK with the fact of rejection, you can’t take it personally. People are busy, they get inundated with sales requests, they really do and they don’t have time to respond and that’s OK. It’s my job to be persistent in a way that isn’t offensive or annoying and in ways that try to deliver value but to be persistent and not take offense and not be bothered by it and just persist. At some point if I’m able to deliver them value, that’s fantastic. The second omen is I just try and be a good person in response. I respond to almost all the sales inquiries I get. If I have someone in my team who’s picking up the phone and they’re getting someone cold calling and I hear them blowing the person off I say, “That could be you on the other end of the line. Let’s be kind and be responsive.” I just try and also be a good person on the other end. Someone reaches out to me, I do my best to write back and say, “No, I’m not interested.” That’s also a way that I keep my sanity because at least on my side I can balance it out a little bit. Fred Diamond: That’s a good thing you’re doing, you’re in the profession, you know what it’s like. Give the kid a courtesy, take the call even if… Give him a tip. Fred Diamond: Why don’t you give us one final thought to inspire the Sales Game Changers listening around the globe today? Chris Hertz: My final thought goes back to what I said before which is live by the golden rule. To me, it’s do onto others as you would have them done to you and just be a good person. I think fundamentally good people succeed and if you are a good person and you treat people with respect and you deliver good experiences, in the long run you will be highly successful. You may see people taking short cuts and you may see them being at least in the short term successful, don’t fall into that trap.